TORONTO – SmoothPay, will be exhibiting at the CRFA show this weekend at the Direct Energy Centre, Exhibition Place, March 2-4. This is the ideal opportunity for the SmoothPay partners to show off how their mobile payment platform integrates retailers offers and rewards with consumer payment in a single smartphone app transaction. 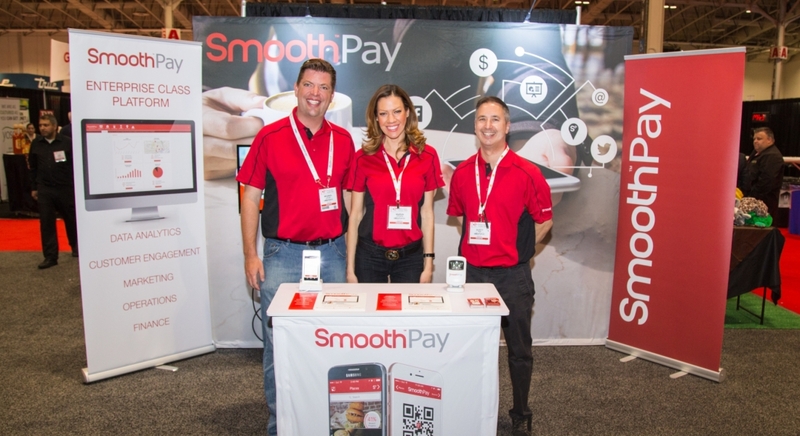 Come by and visit SmoothPay at Booth #2447. The CRFA Show is Canada’s biggest event for the restaurant and hospitality industry, attracting thousands of visitors over three days, including owners, managers, chefs and executives.